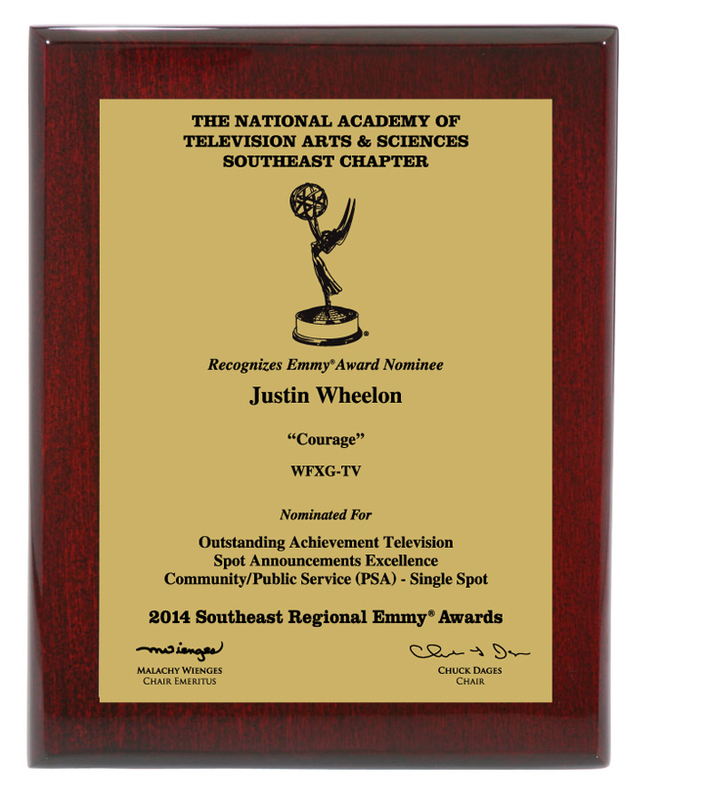 “My name wasn’t on the entry but I was a contributor to an Emmy®-awarded piece. We thought this would be a good opportunity to answer those questions and let you know your options. 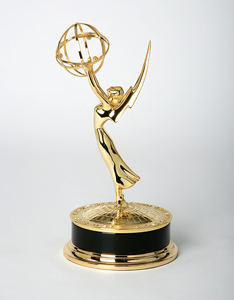 EMMY® Awards are presented to individuals, not to their employers. 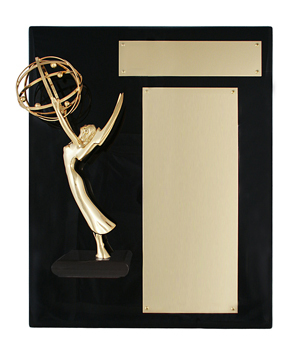 Ownership of the EMMY® statuette is retained by the individuals and The National Television Academy, even if an employer pays entry fees. 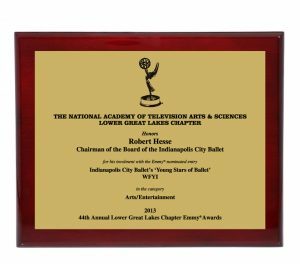 Stations, studios and production companies may order a duplicate statuette for display at their place of business (one each; up to a maximum of three per winning program entry). Corporations, production companies, cable companies and other employers associated with winning craft entries may purchase plaques from the Academy that have a replica of the statuette and space to list the names and titles of their employees’ award recipients for display at their offices. Contact the Academy Office to place your order. Commemorative statuettes may be ordered for display purposes only. 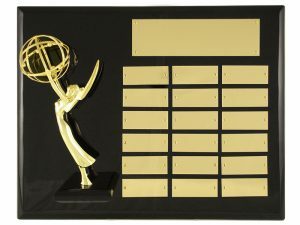 The name plate will be engraved exactly as it appeared on the original EMMY® award and will include the word COMMEMORATIVE. 12″ x 15″ high quality ebony piano finish plaque with engraved copy on large plate. 18 brass plates can list each of your Emmy® Awards from the past present and future. 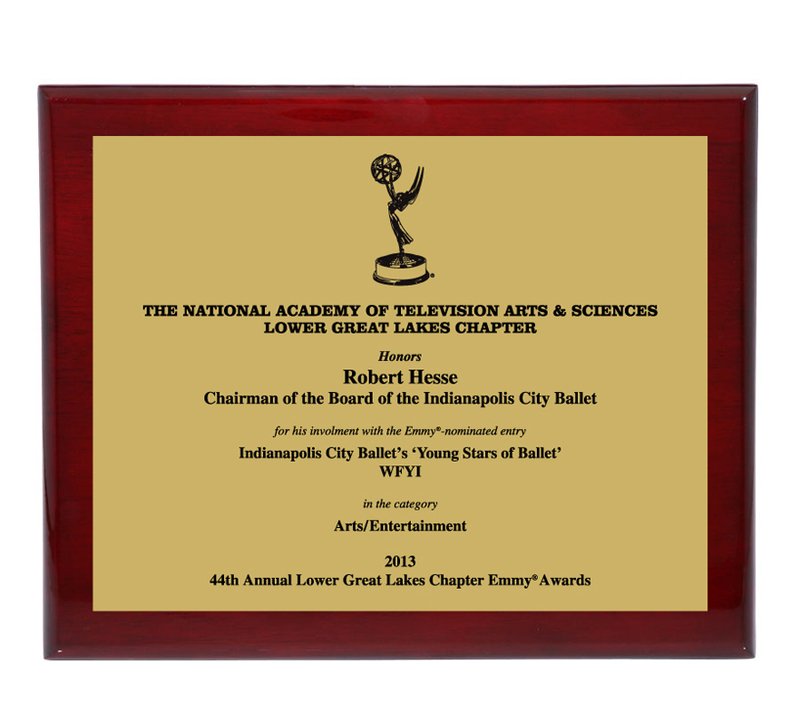 Production plaques may be purchased by individuals designated by the entrant of an EMMY®-awarded entry. These plaques are for persons who made a significant contribution to a winning piece’s award- worthiness but were not listed on the original entry. The rosewood plaque is 10 ½ x 13 with an inscribed gold plate featuring the academy logo. Please allow 8-10 weeks for delivery. 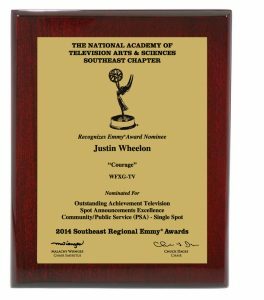 Certificates may be purchased by individuals who contributed to an EMMY®-awarded entry but were not listed on the original entry form. Cost is $25 per certificate. Send a check or money order for $25 and a brief letter stating the credit (director, editor, etc.) , entry title, entry category and year awarded. 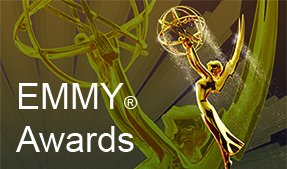 EMMY® winners may refer in advertising and publicity to the fact that they are an EMMY® recipient and for one year after the award was bestowed may use a replica of the EMMY® statuette in such advertising. A registration mark and the appropriate copyright notice (c) NATAS/ATAS must accompany any portrayal of the EMMY®.